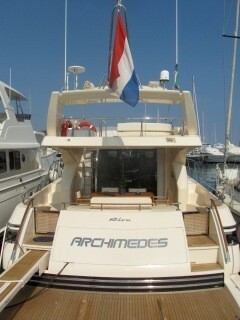 Motor yacht ARCHIMEDES was launched in 2002 by Italian Riva, part of the esteemed Ferretti group. The yacht ARCHIMEDES measures 21,1m (69.9ft) and is available in the West Mediterranean for up to 6 charter guests in 3 cabins. 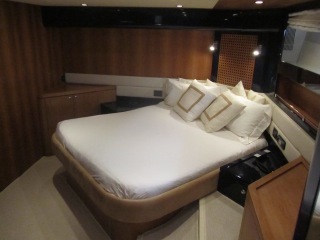 M/Y ARCHIMEDES has a minimalistic style interior with clean neutral tones. The salon offers a large U shaped cream leather sofa and coffee table set on plush carpet and surrounded by lovely warm wood panels. Forward of the salon guests can enjoy a full wet bar and formal dining space. The helm station is forward of this allowing exceptional light and views through the panoramic windscreen. 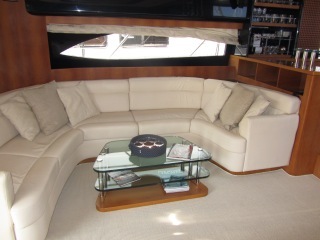 Access to the galley is starboard of the salon below decks, while access to guests cabins is forward below decks. 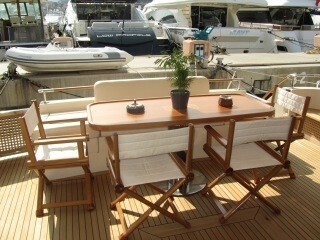 Charter yacht ARCHIMEDES has plenty of exterior areas for guests to enjoy. 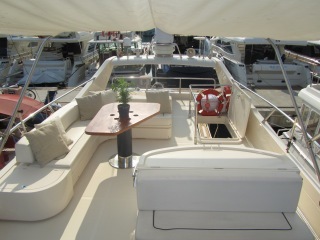 Her aft deck is spacious and offers an alfresco dining option and additional seating. The ARCHIMEDES motor yacht has a massive swim platform that is easily accessed from both sides of the yacht. Forward a large sunpad invites guests to relax and soak up the sun. The Riva yacht ARCHIMEDES has a fabulous flybridge ideal for entertaining, complete with an alfresco dining option, sunpads and additional seating. 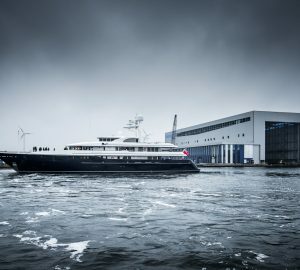 Motor yacht ARCHIMEDES has a beam of 5.4m (17.7ft) and a draft of 1m (3.3ft), she cruises at comfortable speeds of 28 knots with maximum speeds of 30 knots powered by 2 x MTU 1300hp engines with a fuel consumption of 350 Ltr/Hr. 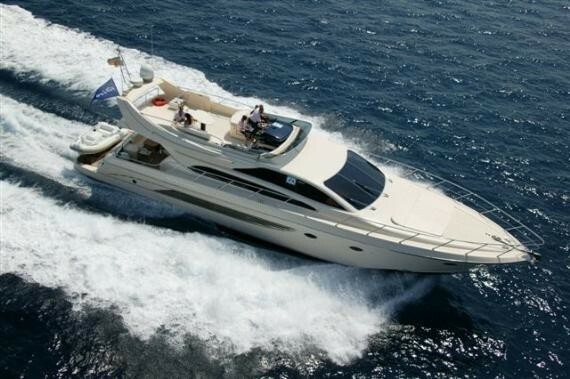 Charter yacht ARCHIMEDES can accommodate up to 6 guests in 3 well-appointed cabins. 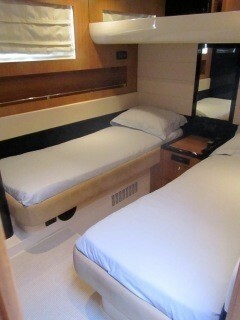 The master cabin is full beam of the yacht with a walk around double bed and en-suite facilities. 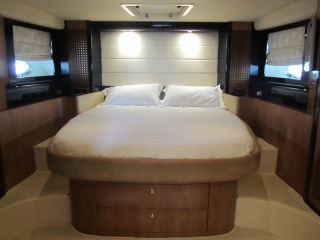 The VIP cabin has a walk around double bed and en-suite facilities and a further twin cabin offers 2 single beds and en-suite facilities.